Imagine what you could do if you and your friends all referred each other to Beardilizer? In theory, your products and merch could pay for themselves! How? Easy. 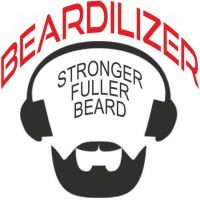 Beardilizer is launching, this week, our new affiliates program. It’s super easy and at the end of the day, you get 12% of every sale made through your private affiliation link. How do you set all of this up? Read below. The first step is logging into the Beardlizer website as a regular customer. See? Easy. Next, click on the Affiliation Registration Page, found here. Fill out a simple form and submit your application. It may take a few days, but once your application is processed, a confirmation e-mail will be sent to the address you used to register your account. The next step is just as simple as registering your account. You get a private affiliate page, located here. Remember, in order for your affiliate page to work, you will need to be logged in as a customer. The cool part of having a private affiliate page is that you will be able to see everything that is involved with your account, including summary, sales, payment history (the best part), any creative work that you may do to tell your friends about Beardilizer, and your user profile. Customizing your profile is key; the more unique it is, the better. Your affiliate link that you can share, containing your e-mail. Remember, if you don’t want your contact information being out there in the abyss, don’t put it out there. This is just one of the many options. Your affiliate reference key, which is a secure ID but may be more complex than your user ID. Think about logging into your e-mail versus logging into your bank account. One needs more information than the other to remain secure. If you want to publish a banner, with your affiliate id and other information, codes will be available within your affiliate page. All you have to do is copy and paste the code or the share the image and your affiliate link can be easily posted on your blog or other forms of social media. You aren’t writing any code for this- it’s just as simple as copy and paste. So, step up, register and get that money. After all, you have a full time job, why can’t your beard start pitching in?